Huslia is hosting the Iditarod Trail Sled Dog Race for the second time ever. 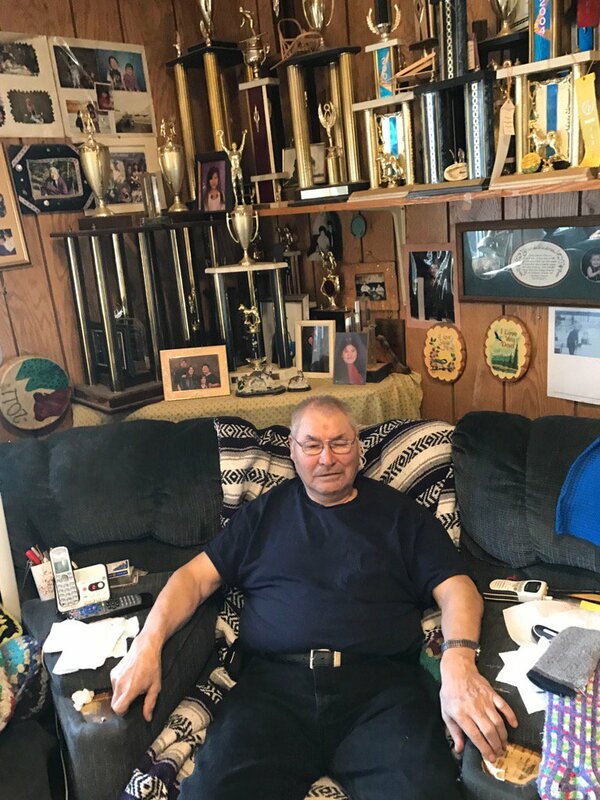 The Interior village is rich in mushing history as it is the home of the late sprint champion musher George Attla Junior and other top names in Alaska dog racing. And as elite teams pass through the home of mushing royalty, local dog drivers are looking ahead to the next generation of mushers. 77-year old Wilson Sam has 20 dogs in his kennel overlooking the Koyukuk river. “We keep them back there kinda close to the house where we can keep an eye on them,” Sam said. Sam has been working with dogs all of his life, including hauling blocks of ice from frozen lakes before snow machines arrived in the 1960s. But he’s a racer too: the living room is covered with trophies from dog races across Alaska. He’s run the 1,000-mile Yukon Quest. Sam said he’s too old to mush dogs now, but he still trains the dogs with an ATV and snowmachine. On the runners are his grandkids, like 22-year-old Kevin Albert, who calls himself a rookie. “I raced four dogs but that ain’t nothing compared to eight or 12,” Albert said. Albert does, however, have his grandpa’s decades of experience to learn from and when he was younger he helped out with George Attla Junior’s dogs. Every day he comes over to do chores in the yard and train the dogs. He’s dreaming big for the backyard kennel in his first year. That is the Open North American Championship – one of the top sprint races. As the Iditarod passes through town Albert gains important insights and tips from pro mushers. He stayed up all night in 2015 when the race came through to help out at the checkpoint. As Albert walks around Huslia’s main street where mushers park their teams, he’s here to soak up knowledge. The inter-generational knowledge has kept dog driving alive in Huslia. 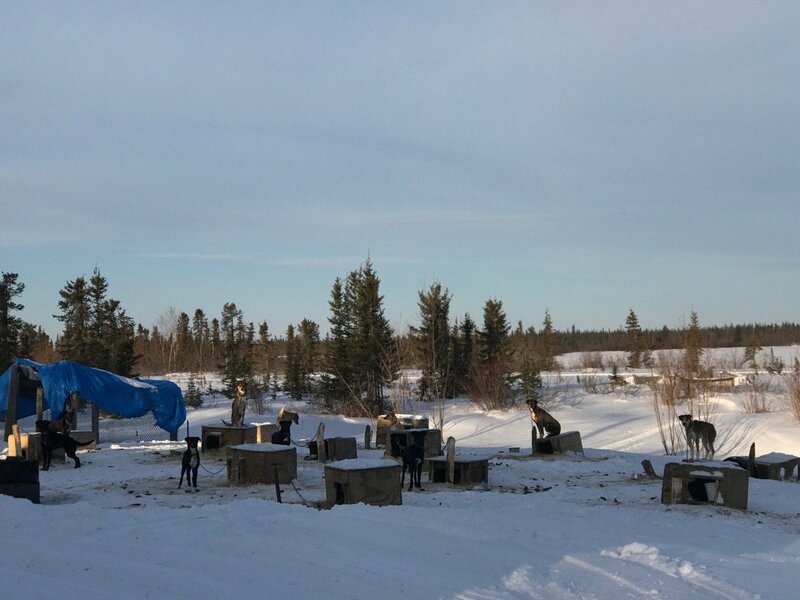 But a region-wide program, known as A-Chill is helping to gives young mushers a boost. It builds off of the Frank Attla Youth Program, founded by George Attla Jr. This is done in collaboration with the Gateway and Yukon Koyukuk School districts. Floyd Vent Jr., son of longtime musher Floyd Vent Sr., is racing for the first year and said the program has helped him build a solid foundation to launch his bigger race ambitions. Vent ran the local New Years’ race and traveled up to Hughes last weekend, missing out on first place by two seconds in a 16-mile race. Hugh Bifelt runs the only kennel in Hughes. He’s beginning to bring in youth to work with the team. As this years’ Iditarod moves towards Koyukuk the next batch of local mushers will stay behind, training their dogs to make dreams reality.